How does Amazon Keyword Optimization work? Which fields within a product listing are taken into account in Amazon product searches? What is an efficient workflow for keyword optimization? In general, a product listing must contain the relevant keyword for the product to appear in Amazon search results (although there are some exceptions). As a result, there is one basic rule when it comes to keyword optimization: Include all relevant keywords in your product listings. To find these relevant keywords, you must first perform keyword research (see the previous lesson). Only then can you proceed with the optimization process. Note on Bytes vs. Characters: We deliberately distinguish between ‘bytes’ and ‘characters’ in the texts to refer to different length restrictions and indexing limits of fields in the product listing. While regular characters/letters from A-Z are 1 byte in size, special characters such as ä, ü, ö, é are 2 or more bytes in size. Even though the brand is indexed as a keyword, it cannot be varied across product listings, and therefore offers no opportunity for optimization. The product title is fully indexed for search. There are category-specific guidelines (style guides) for title length which you can use as orientation. Amazon does not accept titles that are too long and even excludes listings under certain circumstances. In these cases, the product can no longer be found through the search function. In some categories Amazon only indexes the 1st 1000 Bytes (incl. spaces) across all bullet points (sum across all bullet points). Keywords after this threshold are not indexed. To keep the bullet points readable and avoid negative effects on conversion rate, however, the text should be shorter anyway. Our recommendation: Use max. 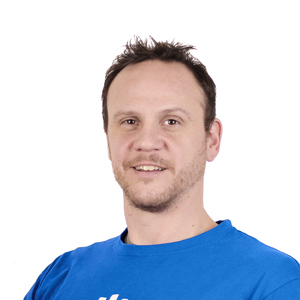 200 Bytes per bullet point to guarantee full indexation and a good conversion rate. The product description is, therefore, the best place to add your longtail keywords within the product listing. Make sure to always validate the effectiveness of your keywords for Amazon-SEO with a ranking tool such as Sellics. Finally, the product description is also important for Google SEO. However, due to the limited indexation, our recommendation remains: The best strategy is to place convincing content in the product description to improve conversion rates. A+ Content is not indexed for Amazon search. As a result, products cannot be found through keywords that are only included in A+ Content. Comparing the regular product description and A+ Content in terms of indexing and conversion optimization options, the question arises: Should I focus on the product description or A+ Content? If you have to choose between the two, we would recommend focussing on A+ Content. Why? The importance of the product description for Amazon SEO is very limited. This is due to the limited indexation on the one hand, and the possibility to already cover all relevant keywords in your backend keywords, title, and bullet points on the other hand. As this leaves conversion optimization as the main goal, A+ Content offers better tools for creating engaging and convincing content and is — just like the product description — indexed by Google. The backend keyword limit is currently 249 bytes, including spaces and punctuation. Amazon does not index any text that exceeds this limit. The only exception is existing products that comply with the previous limit of 250 bytes (not including spaces) — the backend keywords are still fully indexed. At least for now. We recommend that you regularly review the ranking of your product with a tracking tool like Sellics. You can add further information (e.g. about materials) to your product in additional product fields. For some products, you can define additional keyword types, such as target audience keywords (e.g. man, woman). Make sure to make full use of these fields, as the information provided can be used for search filters (page navigation in the search results) and product finders. Before you start optimizing your product listings, you need to make sure that your product content is optimized for click-through and conversion rate, and that you have researched a full list of relevant keywords. Before adding keywords to your content, make sure to place the most important and relevant keywords in the backend keyword fields (also called ‘general keywords’, ‘search terms’ or ‘generic keywords’). As mentioned before, these fields are limited to 249 bytes (including spaces and punctuation). If you exceed this limit, none of your keywords will be indexed. You don’t have to repeat words, e.g. ‘wallet men leather’ instead of ‘wallet men wallet leather’). Repetition shows no positive impact on ranking and takes up valuable space you could use for adding more relevant keywords. Use spaces or semicolons to separate your keywords. Use either singular or plural. Adding both is not necessary. Capitalizing letters (or not) is irrelevant. Use the backend keyword generator in Sellics VE (Module Content & SEO) to create an optimal keyword set with a single click. The keyword set will automatically formatted to comply with the latest indexation rules. Once you used up all available characters in the backend keyword fields, you can start adding the remaining keywords to your product content — that means product title, bullet points, and product description. Keep in mind the indexing limitations we already covered above. You do not have to add the keywords already covered in the backend to your product content. In terms of Amazon SEO, repeating the keywords in different locations has neither a negative nor a positive effect on ranking. If, however, you also want to optimize your product content for Google SEO, repeating the keywords in the product content may be beneficial. Whilst adding your keywords, keep readability and the user experience in mind. Unnecessary spamming of keywords in the product content is off-putting for many customers and is likely to have a negative effect on your conversion rate. The goal of product content is to provide convincing content that is optimized to drive conversions whilst complying with all of Amazon’s style guidelines. Use the intuitive listing optimization workflow in Sellics VE (Module Content & SEO). 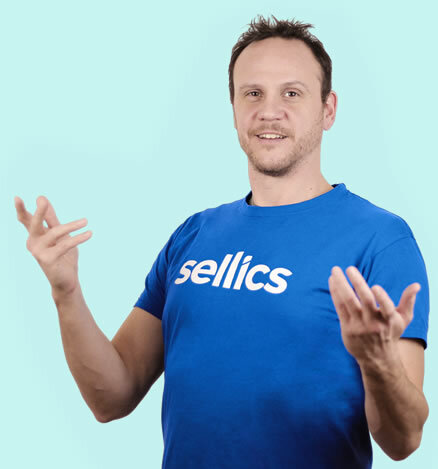 Sellics VE will show you automatically which keywords are still missing in your listing. We already mentioned above that additional product and keyword fields can improve the searchability and visibility of products through Amazon search filters (page navigation). You should, therefore, try to fill in these fields completely. 1-Click keyword optimization: Automatically create the optimal set of backend keywords with just one click to achieve better organic visibility. Ranking tracker: track your keyword rankings and accurately measure the success of your optimization efforts. Export your data for further analysis. Content Monitoring – keep track of all the changes made to your content: stay in control of your products and receive automated notifications when 3P sellers or Amazon make unauthorized changes to your product listing. Optimize backend keywords based on your keyword research. Pay attention to the optimization guidelines and stay within the limit of 249 bytes. Alternatively, use the 1-click backend keyword generator in the Sellics Vendor Edition to find the optimal backend keywords for your products. Integrate the remaining keywords from your list in your product content. The Sellics Vendor Edition automatically shows you which additional keywords you should add. Fill in all the remaining product and keyword fields for your products.